Have you ever wanted to know more about dog showing, agility, and all the other sports that your dog can try? 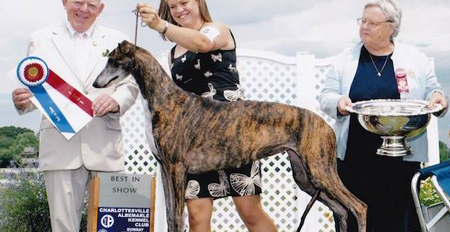 The Charlottesville-Albemarle Kennel Club’s members participate in American Kennel Club sanctioned events, including Agility, Canine Good Citizenship, Conformation, Field Trials, Herding, Lure Coursing, Obedience, and Rally. The Club meets on the second Wednesday of evenly numbered months at 7:30 p.m. at the Jefferson Area Board for Aging (JABA): 674 Hillsdale Road, Charlottesville, VA 22901. Meetings are open to the public, so if you have an interest in dog showing and sports, you are invited to attend a meeting! CAKC activities support local charities and non profit organizations like the SPCA, Noah’s Ark and Caring Companions. The club also supports the K-9 officers in greater the Charlottesville-Albemarle County area. Learn more about the club and upcoming activities on their Facebook Page.